I have been reading many novels lately involving police brutality, such as The Hate U Give and Dear Martin. Both were amazingly informative about this devastating social issue, so I decided to read Tyler Johnson Was Here as well for a fresh new take on the issue. Not only did this novel provide that, but I also felt quite a strong emotional connection with the characters and the storyline. I know that this book will become a staple of YA readers’ bookshelves, because it 100% deserves it! For a brief synopsis, this story follows the perspective of a teenage high schooler named Marvin. Despite being very different, he and his twin have always been there for each other, and it shows. However, one night the two of them attend a party, with only Marvin returning home because Tyler had gone missing. Upon further investigation, Tyler is pronounced dead from a police officer’s shot, and Marvin is forced to both grieve as well as learn how to take a stand to help put a stop to police brutality. Marvin’s character was beyond amazing- he was sweet, compassionate, and gentle. I don’t have much else to say about him other than the fact that my heart broke for him since he had to experience such grief at such a young age. As well, I really appreciated how his character developed by the end of the novel to become braver and better able to articulate his advocacy for stopping police brutality. The one small thing that I kind of disliked about this novel was the romance. I found it to be really insta-lovey, which was definitely uncalled for in a serious novel like this. I see where the author was coming from in trying to lighten up the mood a bit, but it just wasn’t my favourite relationship of all time, and I am usually not that picky about this type of thing. Anyway, with this aside, everything was fantastic! Although people have made every effort possible to try to stop racism, it still floats around, and I am very glad that books like this one exist to get the word around about stopping it. 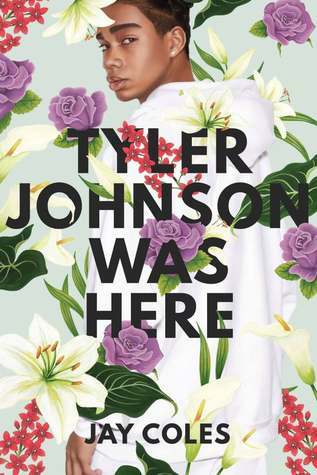 Tyler Johnson Was Here was an incredibly heartfelt, emotionally provoking, moving novel that gave me much empathy for those having to go through the perils of police brutality. It wasn’t perfect with a cherry on top, but honestly, what book is? It still definitely deserves to fall into many readers’ hands.